It is important to understand the seriousness of personal safety and how to avoid dangerous situations at home or in school. Learning about all aspects of proper safety is an important part of education. Whether you are at home or in school, staying safe is the top priority. There are many things to learn about when you are at home and in school. Do you know what to do if you are home alone and someone knocks on the door? What about if you are walking home from school and someone tries to take you? These are important concepts to learn. Being safe at home means you understand what to do if someone comes to the door and you are home by yourself. It also means that you have a firm grasp on what to do if there was a fire, if someone got hurt, about poisons and chemicals around the house, staying safe on the computer and understanding that drugs, alcohol and tobacco are bad for you. There are many areas within your home that can inflict harm and pose unnecessary accidents. Learning about how to stay safe when you are at home will only benefit you in the future. Never talk to a stranger or get into a car with someone you don’t know. Do not answer the telephone or door when you are home alone. Never accept alcohol, drugs or cigarettes from anyone. Do not put any chemicals or poisons in your mouth. If there is a fire or someone is hurt call 911. Staying safe at school is just as important. Walking or riding your bicycle to school, staying safe on the bus and playground and knowing how to protect yourself from a bully, is all important information to know. 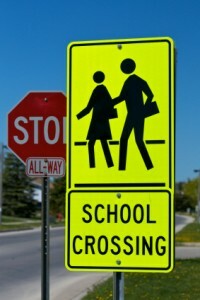 A lot can happen on your way to school, you need to know what to do when crossing the road, if a stranger tries to talk to you, if a bully tries to hurt you or you get hurt at the playground before school. Learning how to stay safe when you are on your way to school and at school will help protect you from any harm. Always walk or ride your bicycle on the sidewalk. When at the playground sit on the swings and don’t walk up the slide. When on your way to school, never talk to a stranger or get into a car with someone you don’t know. If a bully is trying to hurt you, tell an adult right away. When waiting for the bus make sure you stand far back from the street. Would like to have a fire truck and firemen come to our preschool. Could you please tell me who to contact.